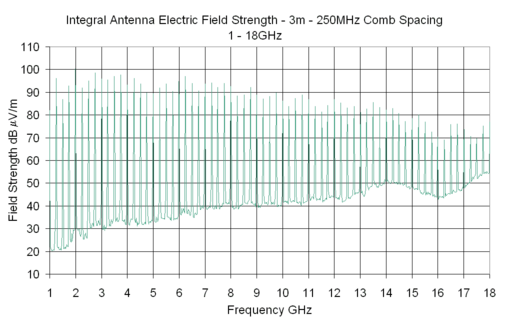 Available either with an integral monocone antenna or with a detachable monocone antenna the CGE01 can be used as a reference source for radiated emissions. The unit is battery powered so that it can be operated as an independent source without the effect of power or interconnecting cables, which would modify the fields generated. Additionally though, for making shielding effectiveness measurements of small enclosures, the actual emitter can be separated from the battery pack and operated remotely via a cable carrying only DC power. The CGE is housed in a plated metal cylindrical enclosure, thus ensuring uniformity of the field and can be orientated to give vertical or horizontal polarization. 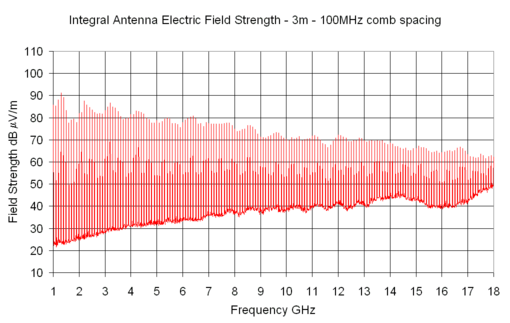 Additionally external antennas can be attached to the output when required. 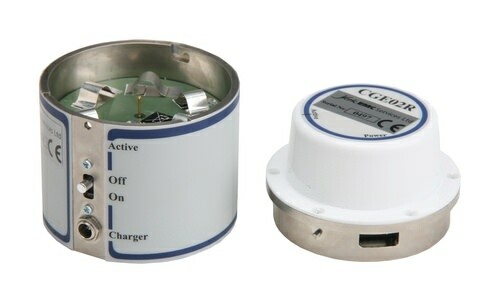 The CGE01C is supplied with a 50Ω SMA connector allowing it to be used either for the investigation of conducted systems or to be used with an external antenna. 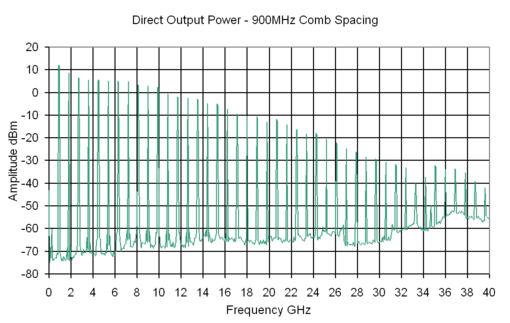 The known output allows unknowns within systems or components to be measured or calculated. 6.5 hours typical with fully charged battery pack. 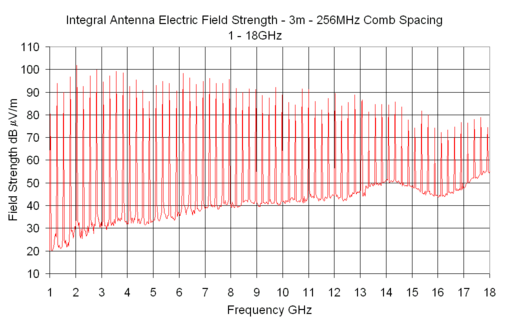 CGE02R – integrated wideband monopole antenna (as previously available). 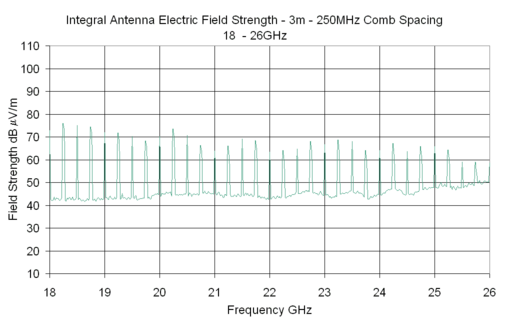 Available either with an integral monocone antenna or with a detachable monocone antenna the CGE02 can be used as a reference source for radiated emissions. The unit is battery powered so that it can be operated as an independent source without the effect of power or interconnecting cables, which would modify the fields generated. Additionally though, for making measurements of small enclosures, the actual emitter can be separated from the battery pack and operated remotely via a cable carrying only DC power. The CGE02 is housed in a plated metal cylindrical enclosure, thus ensuring uniformity of the field and can be orientated to give vertical or horizontal polarization. 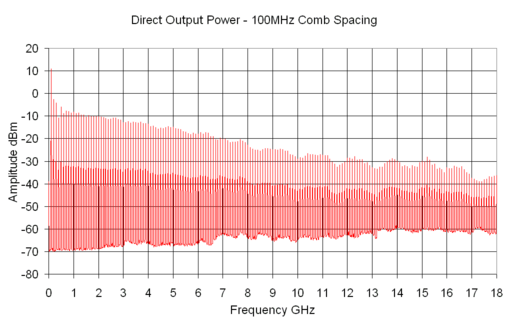 Additionally external antennas can be attached to the output when required. 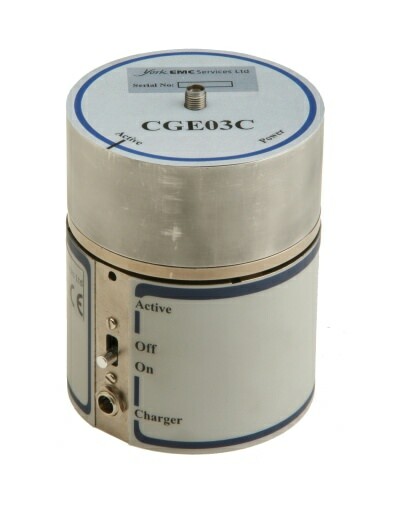 The CGE02C is supplied with a 50Ω SMA connector allowing it to be used either for the investigation of conducted systems or to be used with an external antenna. 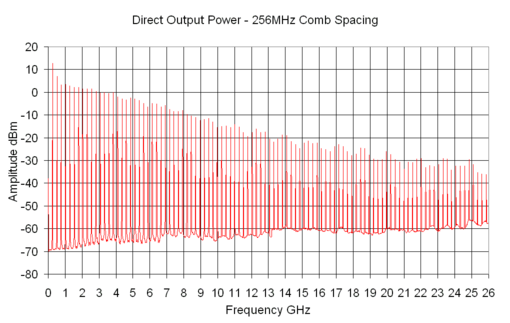 The known output allows unknowns within systems or components to be measured or calculated. The CGE03 can be used as a reference source for radiated emissions by attaching appropriate antennas to the output. The unit is battery powered so that it can be operated as an independent source without the effect of power cables, which would modify the fields generated. 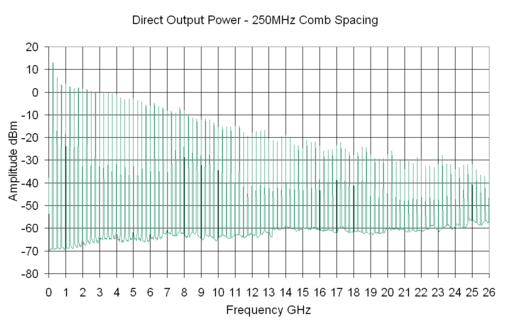 Additionally though, for making measurements of small enclosures, the actual emitter can be separated from the battery pack and operated remotely via a cable carrying only DC power. The CGE03 is housed in a plated metal cylindrical enclosure, thus ensuring uniformity of the field and can be orientated to give vertical or horizontal polarization. 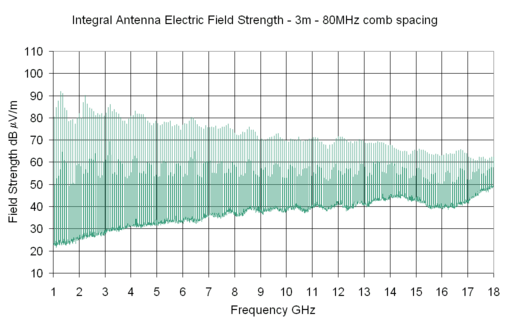 The CGE03 is supplied with a 50Ω 2.9mm connector allowing it to be used either for the investigation of conducted systems or to be used with an external antenna. 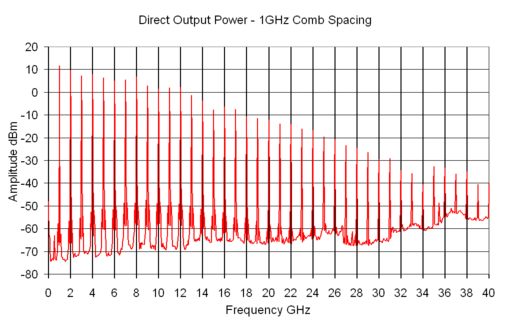 The known output allows unknowns within systems or components to be measured or calculated. 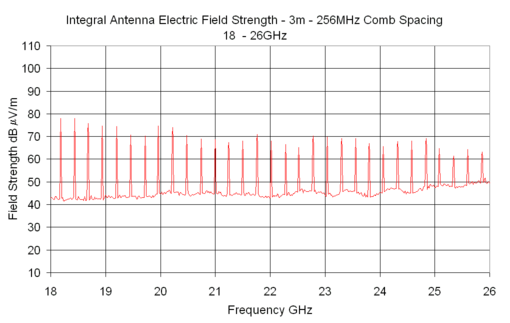 Radiated emissions via connection to an external antenna. 4 hours typical with fully charged battery pack.